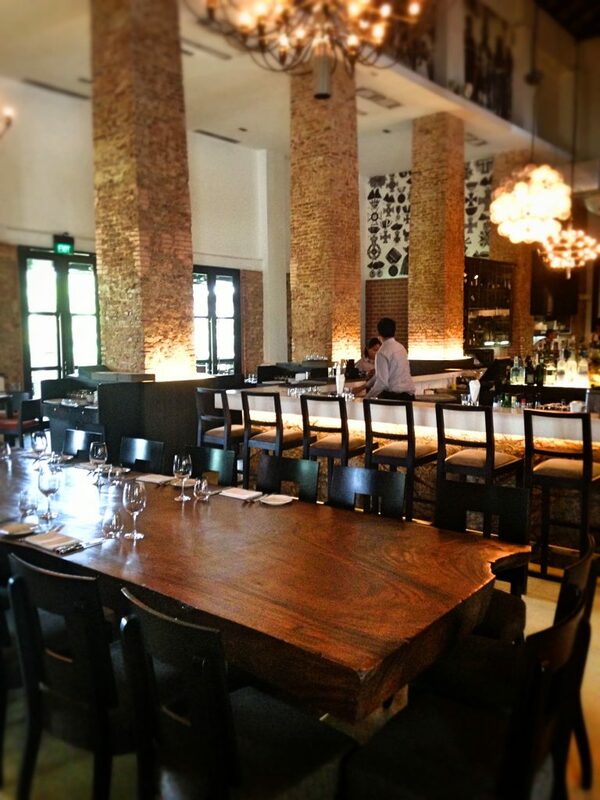 The Prime Society Steakhouse has been around in lush Dempsey Road for quite a bit, being an award winning restaurant and touted as one of Singapore’s best steakhouse for Australian beef. The restaurant also believes in using green, hormone-free beef. In the past couple years though, perhaps standards have declined slightly with a team that was cutting corners with the food standards held so dearly to The Prime Society restaurant. Reacting to this, The Society Group has managed to get in Head Chef Dallas Cuddy in 2012 to helm its kitchen. Dallas Cuddy has made improvements to the menu, quality standards as well as infused his fine-dining culinary background into the kitchen of Prime Society. Most of the kitchen team has been replaced to reintroduce the high quality standards that should be expected of The Prime Society. What has really impressed me is that Chef Dallas makes most of the ingredients from scratch, like smoking his own bacon from pork, curing his own salami, fermenting his own cheese and ageing his own beef. The only thing they buy is butter, and even this is something he’s trying to reproduce! Even some of the spices and herbs are grown around the restaurant along Dempsey road, and harvested fresh for the dishes here. The Prime Society has a high ceiling dining hall with brimming natural light from the windows, making it a very warm, cosy atmosphere. 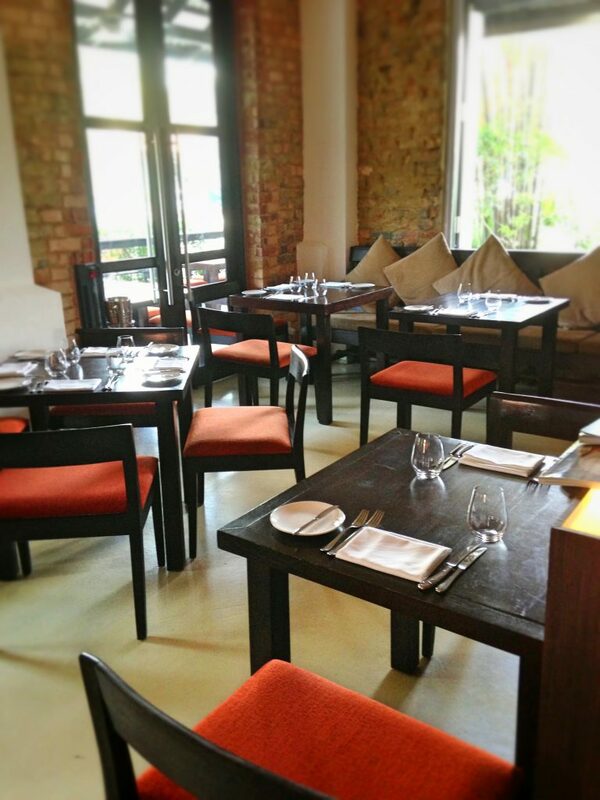 This restaurant is perfect for hosting corporate lunches and events as it’s not too intimate, and you can hold a business conversation without having to shout across the table. 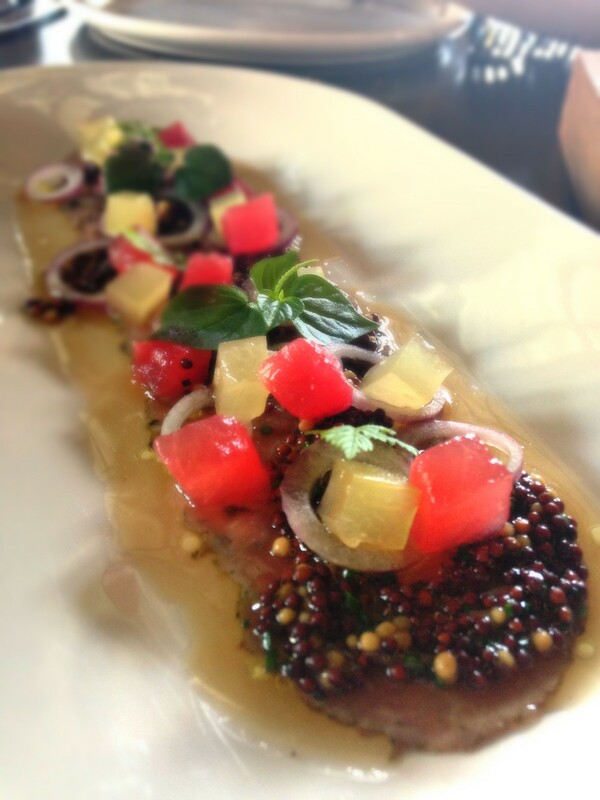 Private dining areas are available as well, and the Chef can make a customized menu for your event. The Prime Society also comes equipped with AV system and projectors. 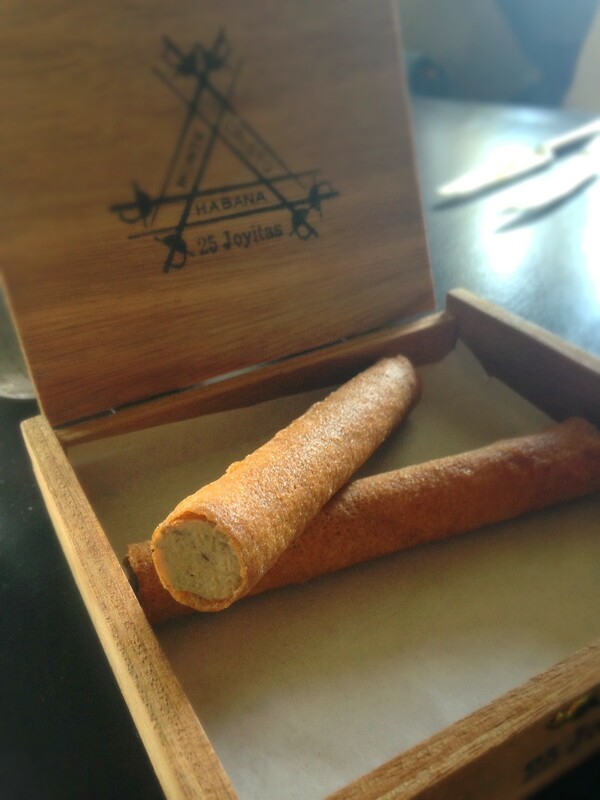 Truffle chicken liver parfait pastry ‘cigar’ ($5/piece). Coming in a cigar box, this was a fun appetizer to start the meal. Packed in a crispy biscuit wafer, the chicken liver is smooth and buttery. A very unique presentation and interesting starter. Raw wagyu with mustard seeds, pickled watermelon ($13). Using thin slices of Australian wagyu to make a carpaccio, the dressing was a tad too sour for me and the mustard seeds seemed to lack any flavour other than providing texture. My guess is the mustard seeds might have been left out too long. Having such thin slices of beef would have paired better with a less powering dressing in my opinion as the wagyu flavour is masked. The pickled watermelon was very interesting though, being pickled in vodka and its juices to tenderize the flesh, making quite a refreshing addition. 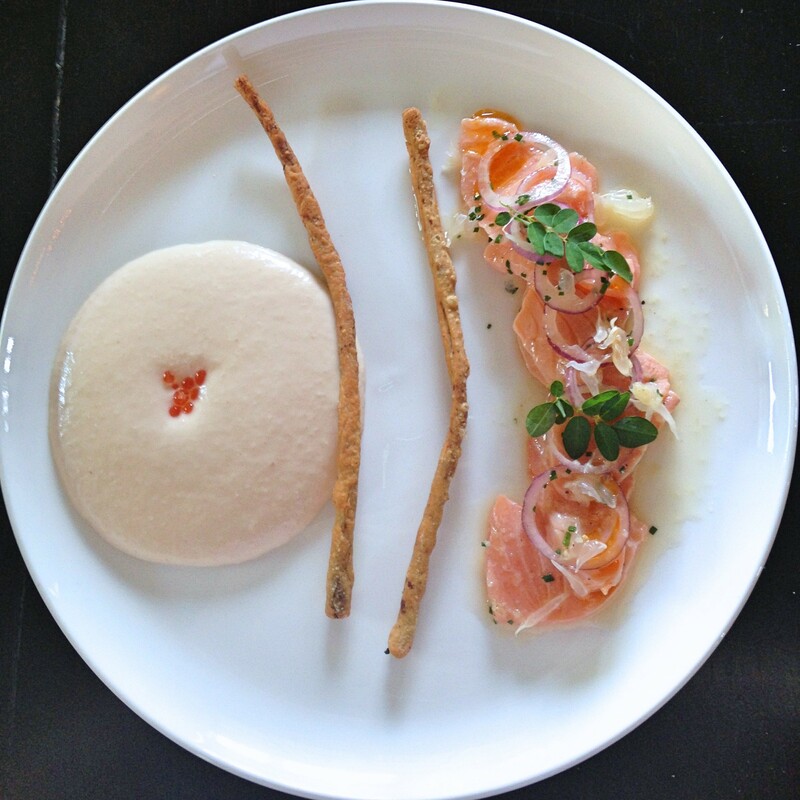 Salmon ceviche, whipped roe and anchovy pastry ($13). Other than beef, my next favourite meat is probably salmon and this dish was a treat. The yuzu acids react with the raw salmon meat and breaks down the proteins, creating the white-ish streaks on the salmon and a tangy, tender flesh. Paired with the light, whipped salmon roe, this was very appetizing to the palate making you crave for what’s next. My only gripe was that the anchovy pastry seemed to be slightly stale. 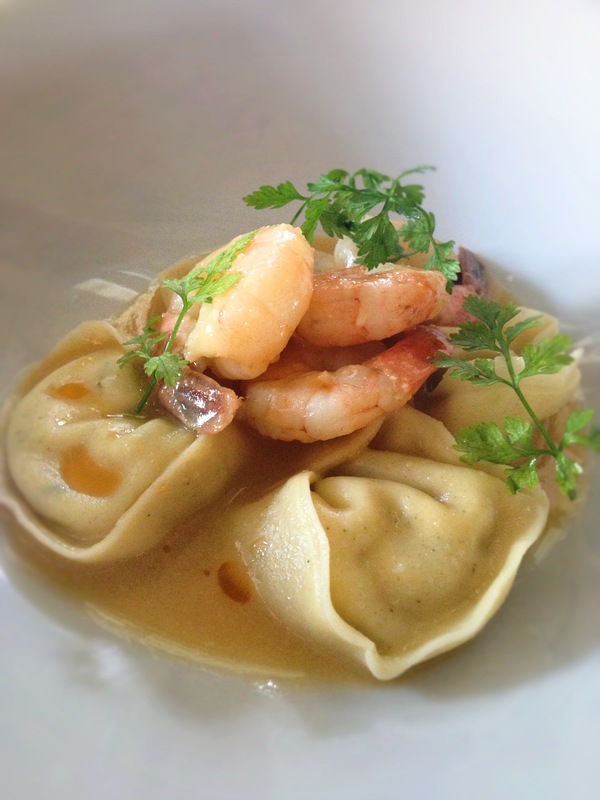 Crystal prawns with fresh ricotta tortellini and miso butter ($18). I really liked the homemade ricotta cheese in tortellini and the miso infused butter sauce that adds some body to the dish, making it less flat. From top: Rangers Valley 300 day Grain fed Black Angus- Petite Tender ($50), Cape Grim Grass fed Black Angus- Ribeye ($65), Mayura Station Full Blood Wagyu 9+ -Tri tip ($65). All steaks come with flavoured salts and sauces like steak sauce, bearnaise, miso mustard and horseradish cream. Let’s start from the Rangers Valley Grain fed Black Angus. We were served the shoulder tender cut or ‘petite tender’. This was a very lean cut, similar to filet mignon but less expensive of course. It is not commonly used as it takes more technique to extract this cut. The beef also has to be sliced so as to not be overly chewy due to lack of fats. It was still quite tender to me despite the lack of fats and should sit well with the ladies. The Cape Grim Grass fed Black Angus Ribeye was my favourite cut tasted and is one of the best grass fed beefs in the world. Grass fed cows produce leaner meats with more beef flavour, but using a ribeye cut gives a nice balance of fat and leanness. Chef Dallas’ style of searing this beef with a piping hot pan produces a deep caramelized skin that has a char to it. Some patrons might think this meat was burnt, but it’s an intentional technique to add more multi-layered flavours to the beef. If you find the charred skin a tad dry, pair it with bernaise or steak sauce which is the way I found to match the beef perfectly. Mayura Station Full Blood Wagyu is arguably the best wagyu in Australia, with the cows being fed marshmallows mixed with grains and being played music to keep them happy. 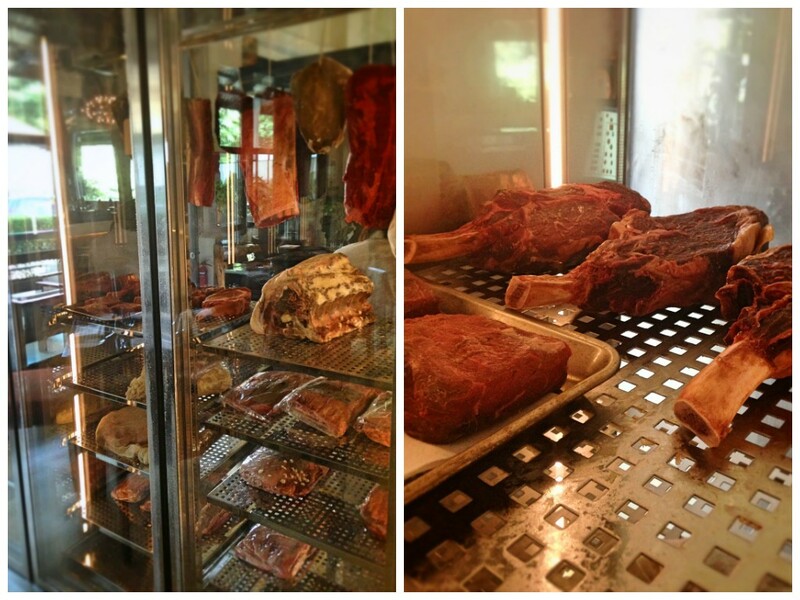 Happy cows produce happy meats. It has a marbling score of 9+, the highest award in Australia. I’ve to say though, although this wagyu itself is 9+ in BMS, not all parts are equally marbled. The bottom sirloin or ‘tri-tip’ cut we sampled was lacking in fats and tasted chewy, very indistinctive of wagyu beef. 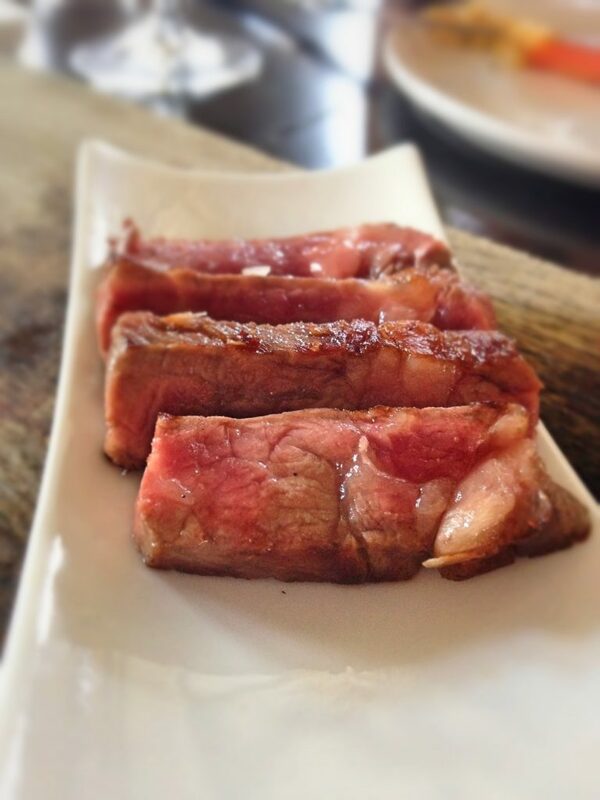 After voicing my views to the Chef though, he prepared for us the Mayura Station Full Blood Wagyu Sirloin cut ($110). 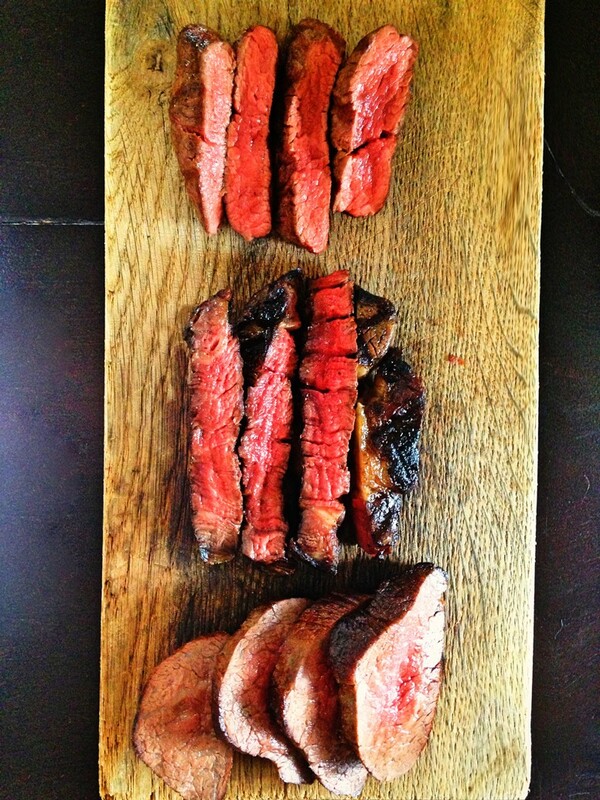 The sirloin cut, despite being the same breed of wagyu, was heaven and earth in taste profile to the tri-tip. Highly flavourful, wonderful fat distribution in the meat, I’d say don’t try to scrimp on the cheaper tri-tip if you want to have wagyu. Go straight for the sirloin and you won’t be disappointed. The sommelier also let us sample some red wines to go with the meats. For wagyu which is a full flavoured experience, you can try the Chapel Hill Mclaren vale Cabernet Sauvignon 2011 ($19/$90 a bottle) which is heavier bodied to compliment the meat. For the grass-fed cuts with less fat, try the Catena Zapata Mendoza, Argentina Malbec 2010 ($105 a bottle), a lighter and fruitier wine. 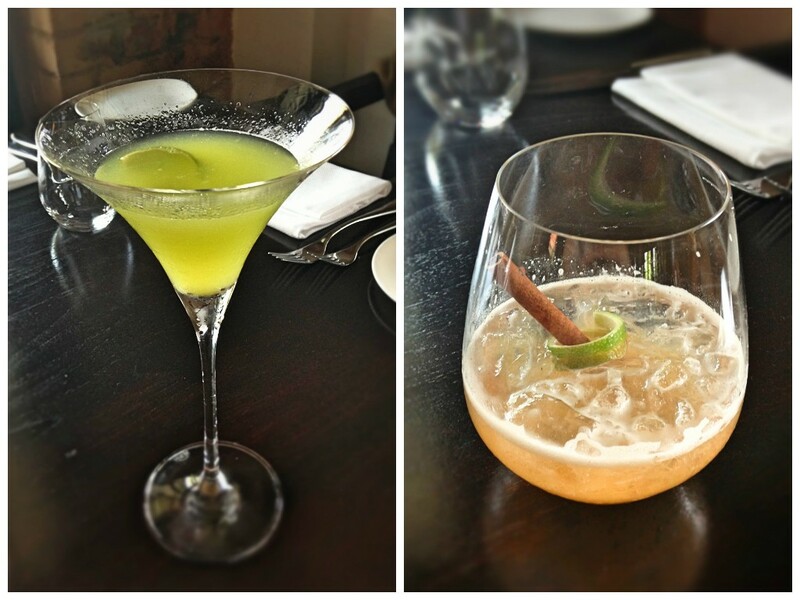 From left: Prime Signature Martini ($21), Oak, Nuts & Smoke ($21). The cocktails here are not half bad as well. The prime signature martini is made with Tanqueray 10 gin, Giffards green apple liquer, Giffards melon liquer, fresh lime and kiwi fruit for a sweet refreshing drink. Whiskey lovers will like the Oak, Nuts & Smoke which is made with smoke-infused whiskey, Fat-washed Bourbon, Orgeat, fresh lemon and a hint of Chocolate bitters. Strawberry ‘sangria’ with poached fruit and brioche ice cream ($10). 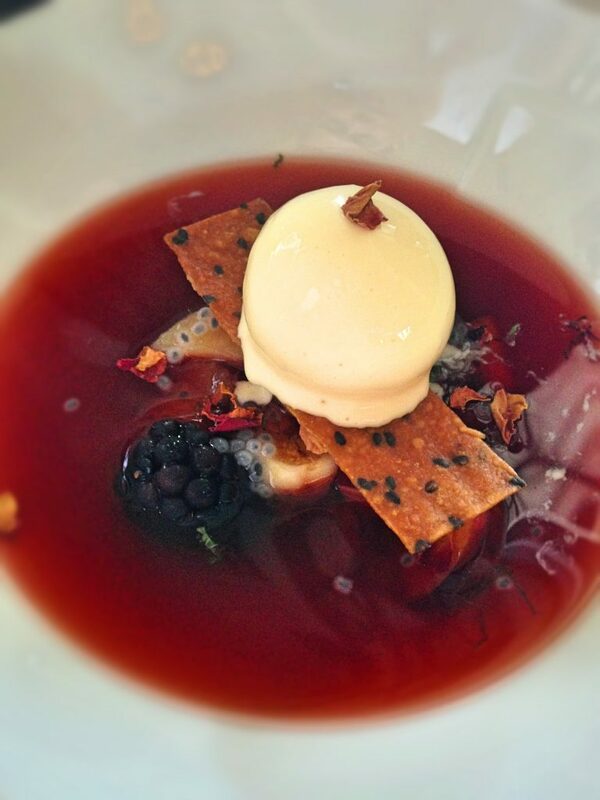 Like a wine soup, this was a sweet berry flavoured dessert with the brioche bread ice cream adding a play on red wine and bread. 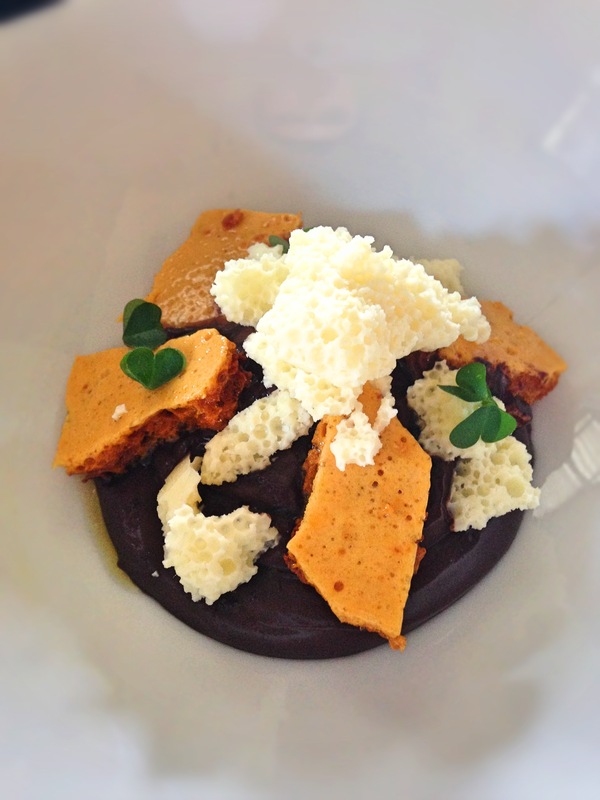 Intense chocolate pudding, honeycomb, hibiscus salt and wood sorrel ($10). Wood sorrel is an edible plant so don’t worry about it. The chocolate pudding was rich and contrasted with the white chocolate like honeycomb. 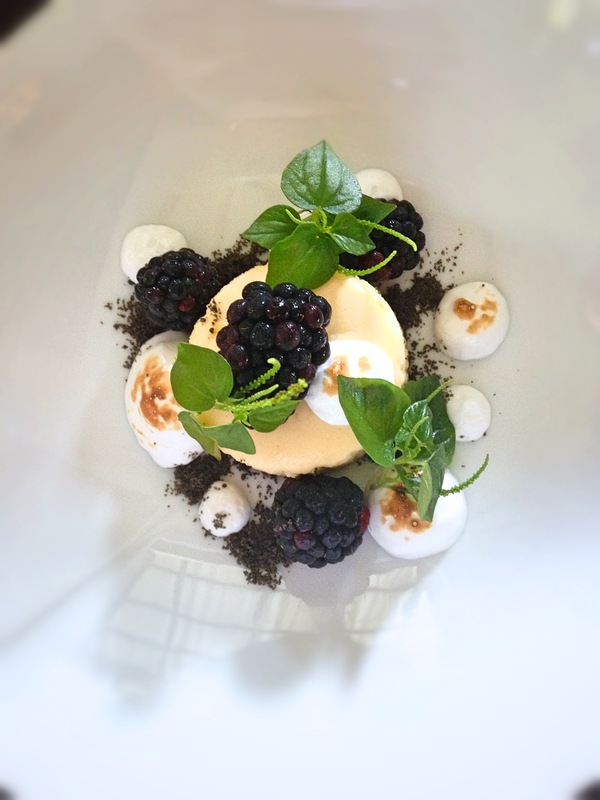 Baked lemon and honey cheesecake, blackberries and burnt meringue ($10). Favourite dessert of the meal, this cheescake had a citrus kick and HUGE blackberries. Light and fluffy, it sits well with the burnt meringue. 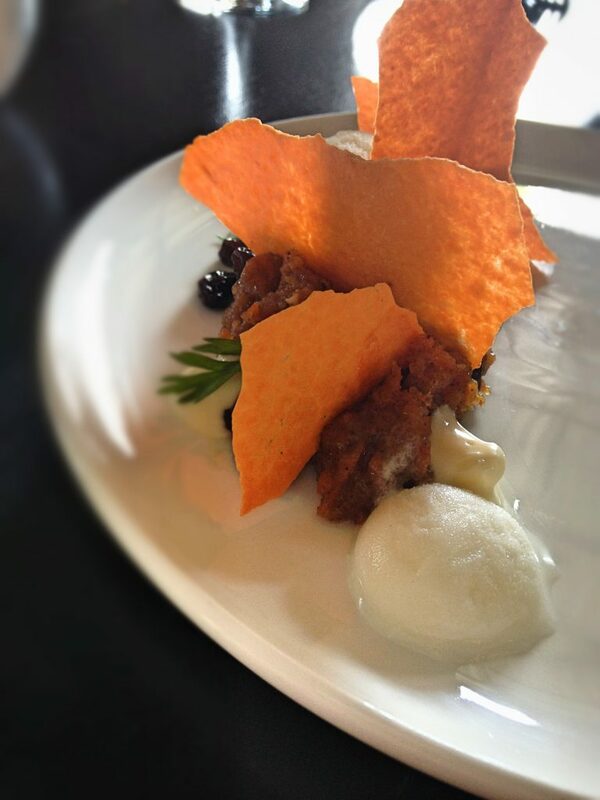 Broken carrot cake with buttermilk sherbet and rum raisins ($10). This was just a sampling portion and not the actual dish presentation. Traditional carrot cake with rum infused raisins, ‘carrot chips’ and buttermilk sherbet instead of the usual cream cheese. A different interpretation of this traditional dessert. Don’t bother with the cheaper cuts and go for the better quality meat cuts to experience good, authentic Australian beef steak. 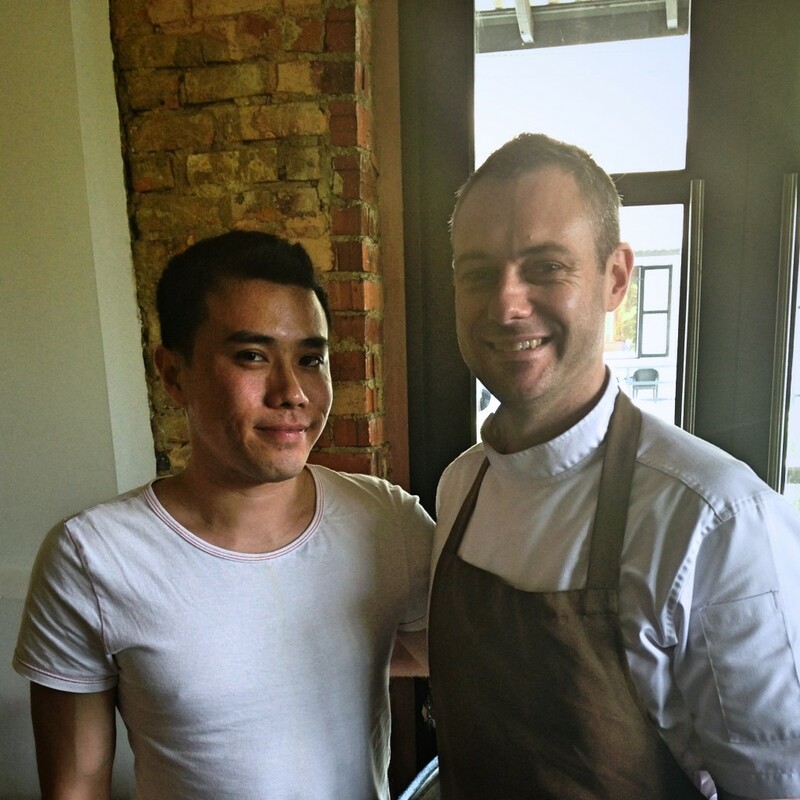 I believe that Chef Dallas Cuddy has put his heart and soul into The Prime Society and definitely deserves a visit. 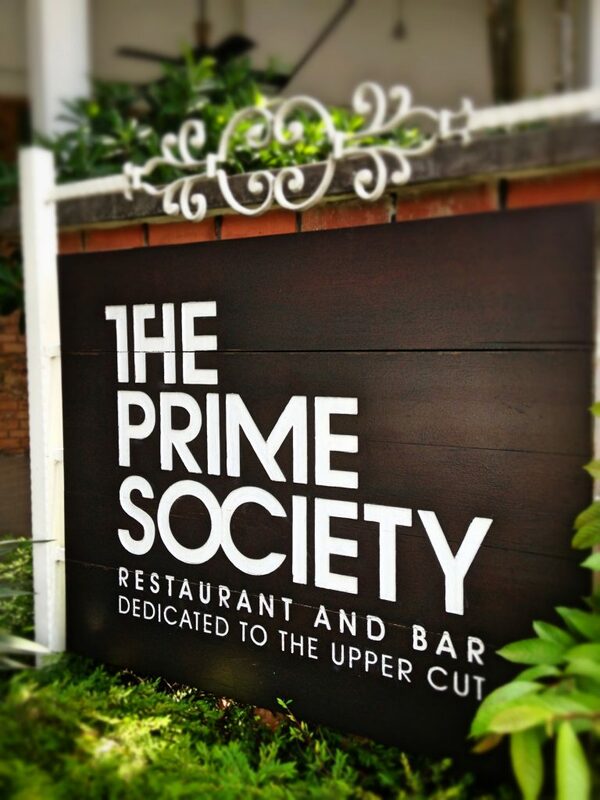 The Prime Society also won Best Restaurant in September 2013 awarded by World Gourmet Summit, which undoubtedly proves their advancement. Australian steak fans, you don’t want to give this a miss.